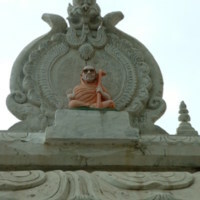 The Lake Forest College Collection “Religious Sites in Maharashtra” contains images of three sites in the west Indian state of Maharashtra: Ellora, Khuldabad, and Ajanta, pilgrimage sites for Hindus, Jains, Muslims, and Buddhists. 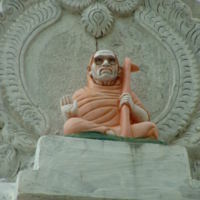 The photos in this collection were taken in January 2003 by Cathy Benton and the audio files were recorded by Mark Nelson. 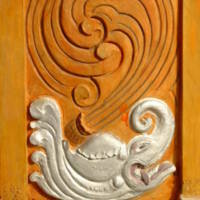 On a pillar of the temple is this stylized peacock. 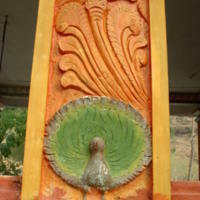 The peacock is sometimes associated with the god Brahma and his consort, Saraswati. 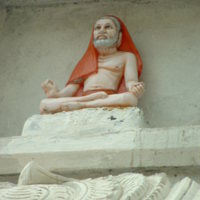 This image of an ascetic in a modified lotus position sits in a niche in the upper outside wall of the temple. 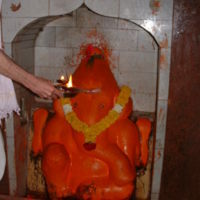 Performing puja to the deity of the temple, Ganapathy, the priest offers the flame. 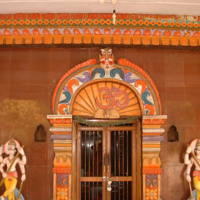 Performing puja to the deity, Ganapathy, the priest and a worshipper offer flowers. 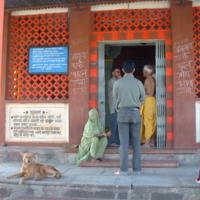 At the doorway to the shrine of the temple, people discuss the morning puja with the temple priest. 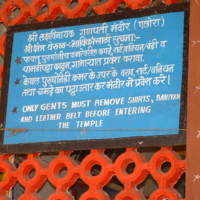 At the doorway to the shrine of the temple, men are asked in Marathi, Hindi, and English to remove their upper garments and leather belts out of respect. Everyone removes their shoes at the door.